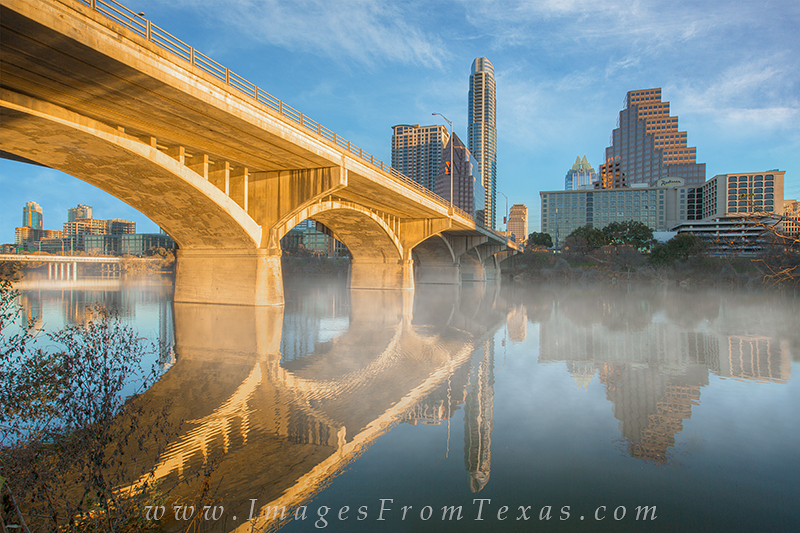 On a late morning in early January, fog drifts along Lady Bird Lake in the cold air. Beyond Congress Bridge is downtown Austin with the familiar Austonian and Frost Tower climbing into chilly sky. Photo © copyright by Rob Greebon.